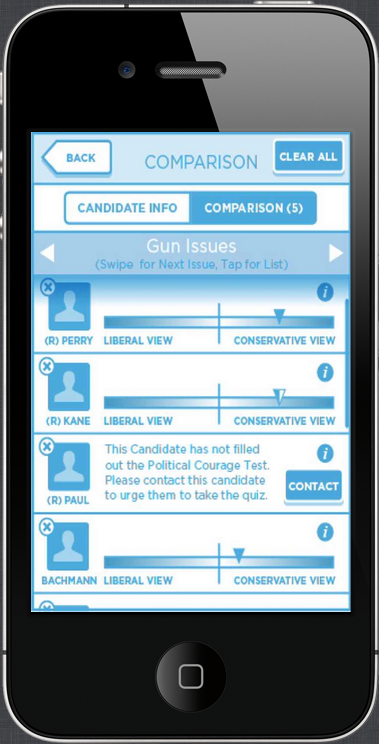 Take polls and see how your answers compare to national, state, city, or just your friends. Take a quick 10 question quiz to see where you stand on the political map and optionally see where your friends stand too, if they allowed it. The version 1 product map is loaded with features with many more to come. See the feature list to see them all.